2016 was a wild ride, with cybersecurity and warfare dominating the headlines. The new EU General Data Protection Act (GDPR) impacts many financial services organizations globally and may be an indication of what’s ahead for North America. On top of that, we have the growing use of innovative, and often unsanctioned, collaboration technologies such as Enterprise File Sharing Services, further accelerating the flow of information outside of the organization’s perimeter. It is safe to say that ensuring the security of information is an even higher concern than ever before and that the current Information Security infrastructure isn’t making the grade. 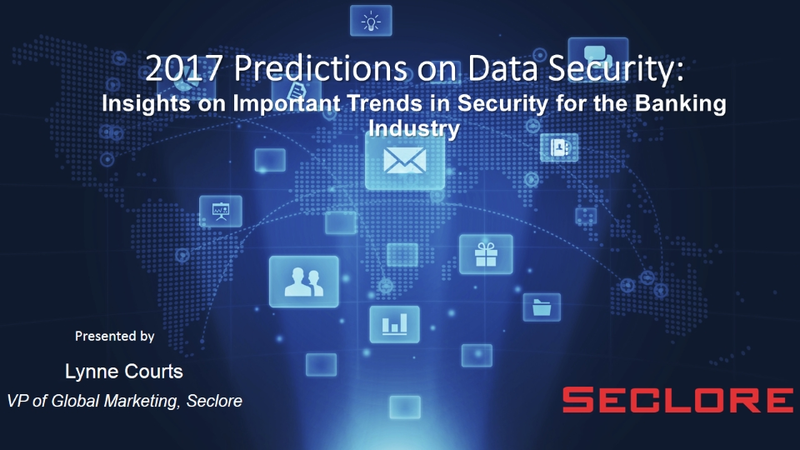 Join us for this webcast in the field of data-centric security will discuss the top seven security trends that will impact banks and financial institutions in 2017. · Impacts of anticipated cybersecurity legislation and new global regulations on protecting data. · What’s missing the Information Security arsenal? · How to embrace collaboration and other technology innovations with less risk. · Is the shift to data-centric security the answer? If sensitive data gets into the wrong hands, it can spell disaster. Do you know if your business data is safe? Know the risks, so you can protect your business data and mitigate your security risks. Join this webinar to learn how to address rights management, and other security risks. External collaboration is the new normal for business processes. Worker mobility, the increase in cloud applications, and new technologies for sending and sharing files are increasing the complexity and introducing new security risks. As a result of these new dynamics, more information is leaving the corporate perimeter. Learn how new solutions, such as Enterprise Digital Rights Management (EDRM) are being adopted to enable secure collaboration. Organizations collaborating with third-party entities, where employees are sharing files with individuals outside of the organization, are facing security risks at unprecedented scale. These dynamics correlate to the need for security controls such as Enterprise Digital Rights Management (EDRM) to protect sensitive information when it travels outside of the corporate firewall. In this presentation, analyst Doug Cahill from Enterprise Strategy Group (ESG) will discuss the findings from a recent study where over 200 IT and Security Professionals shared their views on the challenges with external collaboration, and his recommendations for best practices. Lynne Courts, VP of Marketing from Seclore will share how to build a comprehensive data-centric security strategy with such technologies as next-generation EDRM. Seclore’s Enterprise Digital Rights Management solution enables organizations to control the usage of files wherever they go, both within and outside of organizations’ boundaries. The ability to remotely enforce and audit who can do what with a file (view, edit, copy, screen capture, print, run macros), from which device, and when empowers organizations to embrace BYOD, Cloud services, Enterprise File Synch and Share (EFSS) and external collaboration with confidence. Featuring dozens of pre-built connectors for leading enterprise applications (EFSS, DLP, ECM, ERP, and eMail), Seclore automates the protection of documents as they are downloaded, discovered, and shared to ensure rapid adoption. Seclore was recently recognized by Frost & Sullivan with a Growth Excellence award, by Deloitte as one of the ‘50 Fastest Growing Technology Companies,’ and by Gartner as a ‘Cool Vendor,’ due to innovations in browser-based access to protected documents. With over 4 million users across 420 companies in 22 countries, Seclore is helping organizations achieve their data security, governance, and compliance objectives.